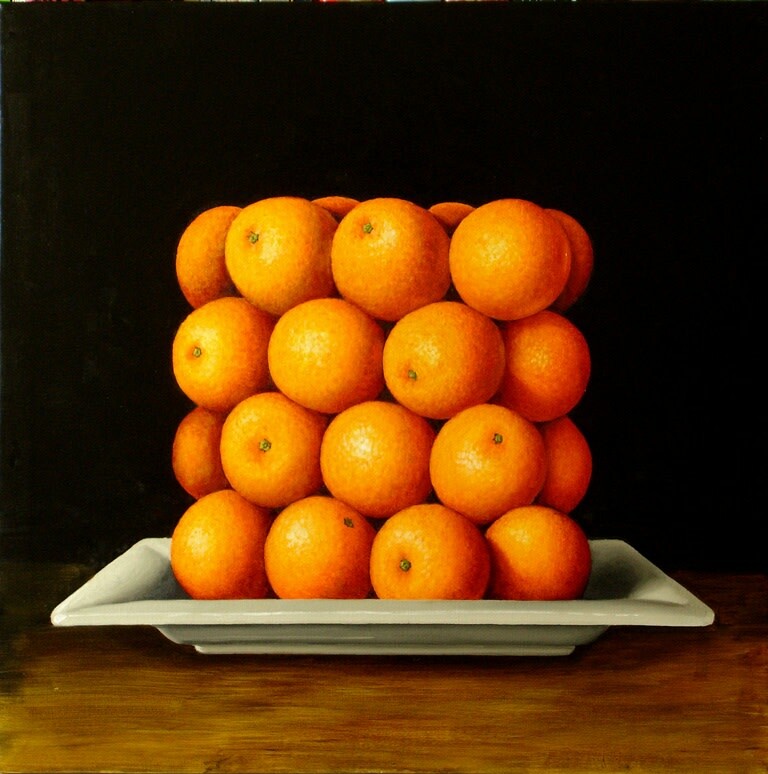 PLUS ONE GALLERY IS PLEASED TO ANNOUNCE THE THIRD SOLO EXHIBTION OF SURREALIST PAINTINGS BY ANTONIA WILLIAMS. This show represents further progress on a theme which continues to interest Williams – by changing the size or context of objects within settings, alternative compositions emerge which are sometimes portraits, or can be both landscapes and still lives. Starkly realistic and highly colourful, they confront the viewer with often erotically suggestive overtones. 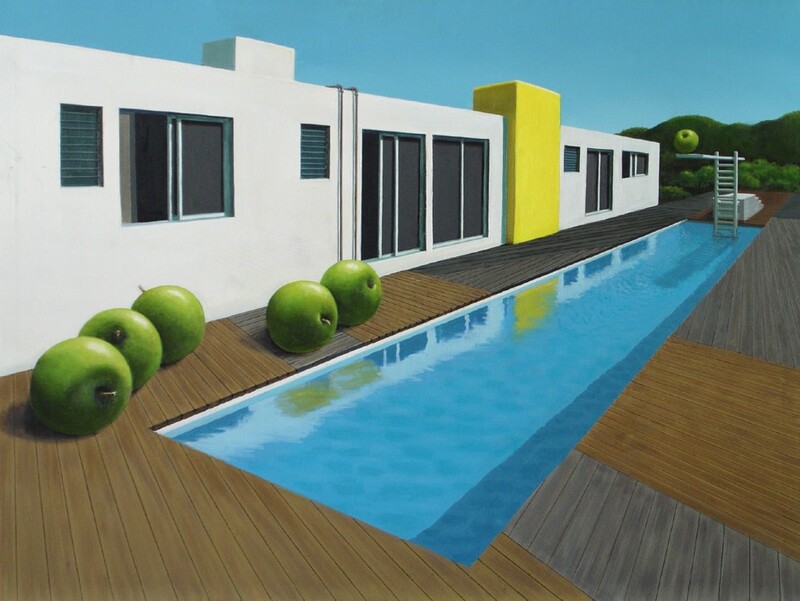 Williams takes large fruit or vegetables and places them amongst buildings, giving them a slightly anthropomorphic life of their own, and add an atmosphere of ambiguity or anticipation. A painting to Williams can be both “realistic and fantastical”. Pumpkins can appear to be large enough to become homes, and a pile of apples can form any shape one chooses. 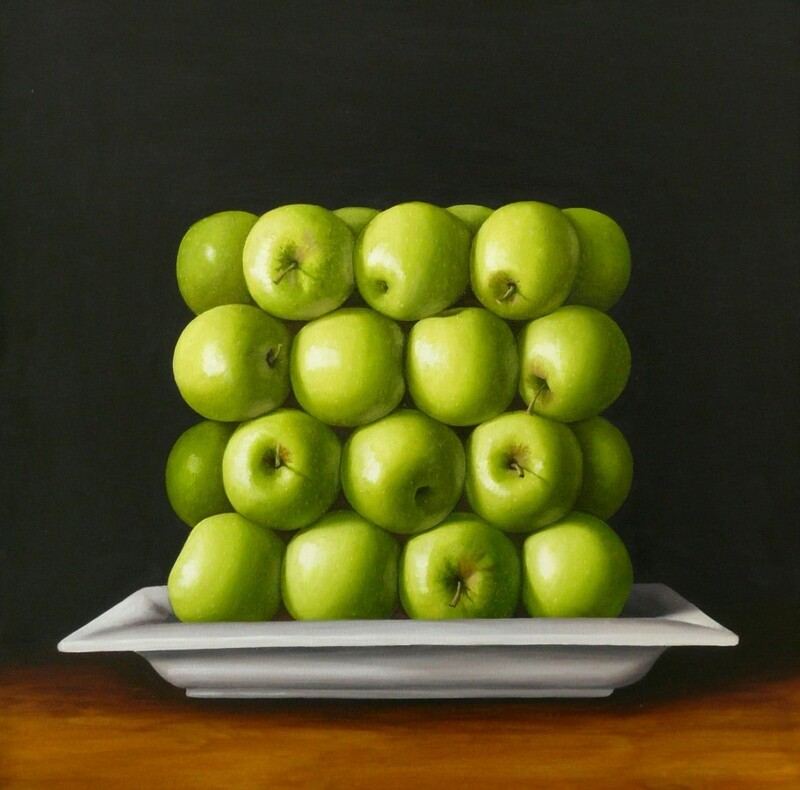 The main paintings are large, detailed and vividly coloured works, surreal yet with a very realistic presence. Smaller still lives have bold and dramatically lit arrangements of apples, lemons or tropical fruit. Williams sees her work as a result of growing her own fruit and vegetables. Being aware of the power and strangeness of growing things, and wondering at their beauty, she wants to give them some of the nobility that they deserve. By placing them in another context, they can be seen afresh. Williams is also concerned with the quality of light, and her compositions are arranged so that the light enhances the objects, and gives a feeling for that particular moment in time. Antonia Williams has trained at Heatherley’s School of Art in London and at the Corcoran Art School in Washington DC. Amongst other experiences, she has painted sets for window displays for Harrods and Harvey Nichols.